It finally happened, and what a shame to see another couple hit the buffers due to infidelity. Poor Demi! It should have been obvious that things were taking a nose-dive for a while. Kutcher, who seems to manage to escape the label ‘disgraced’, was a free agent when he chose to love and honor ‘till death us do part’. People point to the age gap between them but they were both mature adults. 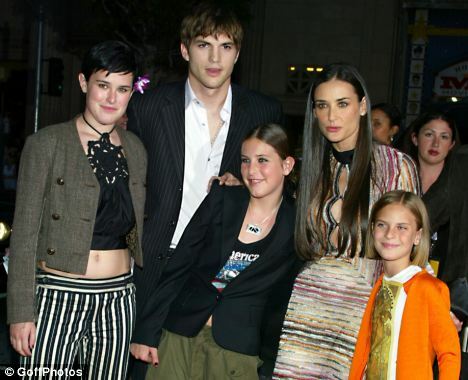 Kutcher, even at 27. simply could not manage to stay faithful to his loving wife and partner. Despite appearing close in personal snaps and Tweets, they had something of an air of desperation about them for me. Demi displays immaturity herself in these attention-seeking moves, keen to flaunt her intimacy with her husband. The solid marriages tend to be quiet, respectful and private affairs, not something that both participants feel the need to ram down strangers’ throats, in an effort to convince themselves as much as others about the ‘strength of their relationship’. Was that a Saturday Night Live Skit– or was that the real Rick Perry flailing and then failing to remember the third major government agency he would cut as (as he will surely never now be) president? In a week of ever-multiplying Sexual Harrassment accusations against Herman Cain, Republicans who can count higher than three are running out of options. Is Newt next? As a lifelong Democrat, I have seen my share of ‘weak fields’ and so-called ‘Seven Dwarfs.’ But those are truly drarfed by the Republican Follies of 2011. Blog wise man Ol’ Bill sees the field as representing the ‘rot from within‘ of the GOP– but cautions: Don’t forget the forerunner of Perry’s over hyped memory lapse: the 14 long seconds of underhyped silence from AZ’s esteemed Governor in her campaign debate which hardly caused a ripple in her negatives and subsequent habit vote victory. 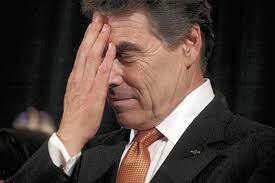 Author Kevin St. Jarre puts it this way: Perry is so bad, he leaves SNL nothing left for parody. I’m neither a Republican nor a Democrat, but I’m left wondering…when they canvas the entire country for Republicans willing to run for president, these are the best they can come up with? Perry and Cain? Clowns. WDYT? Will Newt Gingrich be the next unlikely darling of the flailing GOP? Or will they resign themselves and take their Mitt Medicine? Check out Elizabeth Searle’s GIRL HELD IN HOME in BOOKLIST and Robin Antelek. Plus Elizabeth & Caitlin in IMAGINE mag. 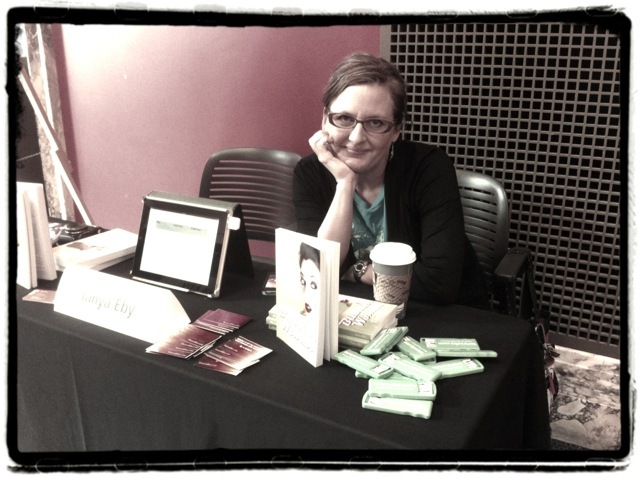 TANYA EBY is the author of three comedic novels “Blunder Woman”, “Easy Does It”, and “Pepper Wellington and the Case of the Missing Sausage”. She is the narrator of over fifty NY Times Bestselling novels and is a professor of writing at Kendall College of Art and Design. She is wonderfully awkward and lives in Grand Rapids, Michigan with her husband and two quirky children. Visit her at http://www.tanyaeby.com . This post originally appeared there on Tonya’s own blog.